Serving Tray for Diamond State Beer from Diamond State Brewery Inc. out of Wilmington, Del. The center shows an elderly gentleman enjoying the company’s brew out of a large mug. 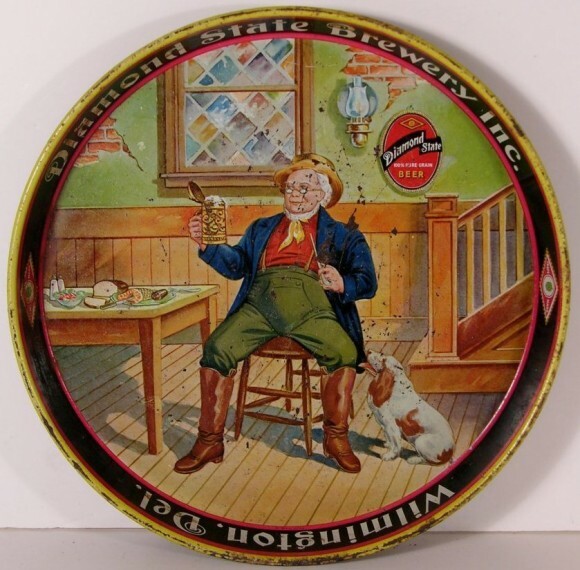 This tray is a 12″ round from the 1930s, there is an older version that is similar but was produced pre-prohibition. The pre-pro tray is worth around twice as much as this newer version.